When the 2018 regular season begins in 12 days, Luis Severino will be on the mound for the Yankees. Aaron Boone announced this morning that Severino is getting the Opening Day start, the first of his career. 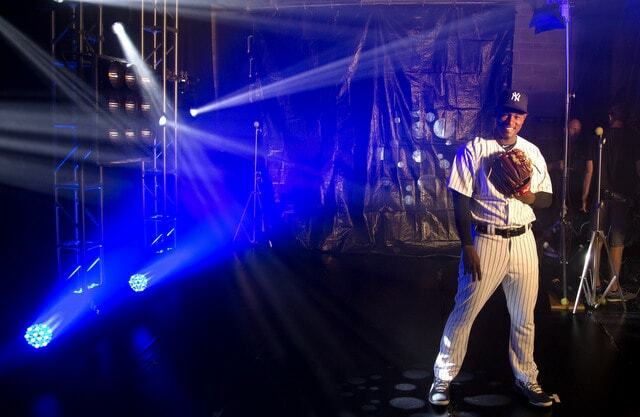 Severino is the first Dominican Opening Day starter in Yankees history. The full rotation order: Severino, Masahiro Tanaka, CC Sabathia, Sonny Gray, Jordan Montgomery. That means Sabathia and his balky right knee will indeed start on the Rogers Centre turf, and Montgomery will start the home opener. I thought Sabathia would start the fifth game to avoid the turf and get the home opener. Shows what I know. At 24 years and 37 days, Severino will be the Yankees’ youngest Opening Day starter since Lefty Gomez started Opening Day at 23 years and 138 days in 1932. Gomez, Hippo Vaughn, and Ray Caldwell are the only younger Opening Day starters in franchise history. Pretty amazing, eh? Severino earned this Opening Day assignment with a marvelous 2017 regular season. He threw 193.1 innings with a 2.98 ERA (3.08 FIP) — he was the first Yankees’ starter with a sub-3.00 ERA since Andy Pettitte and David Cone in 1997 — and finished third in the AL Cy Young voting behind Corey Kluber and Chris Sale. Tanaka had started the previous three Opening Days and, before him, Sabathia had started six straight. Ron Guidry, Mel Stottlemyre, and Whitey Ford are tied for the franchise record with seven Opening Day starts apiece. The Yankees open the season on Thursday, March 29th, against the Blue Jays. They’ve lost six straight Opening Days and eight of the last nine. It sure would be nice to snap that Opening Day losing streak this year.